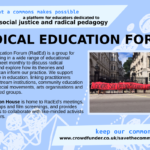 Calling all radical groups looking for a home! The Common House is looking for new members! If your group is committed to challenging oppression and exploitation, building movement infrastructure and a radical, inclusive organising culture then in touch. For groups who are time poor but still want to use Common House, then we have a sliding scale based on what you can afford. This entry was posted in common house news on April 28, 2018 by admin. 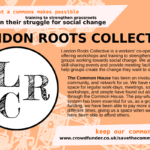 On Saturday the 23rd September The Common House will be throwing a folk fundraiser with food and merriment in aid of both us and another radical London based community, The London Catholic Worker. 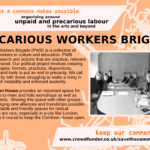 The London Catholic worker is a community of destitute migrants and Christian activists who live together under the principles of community, hospitality and resistance. Half of the proceeds will be going towards supporting them. The event will kick off at 5pm at 49 Mattison Road, N4 1BG, and will showcase trad and folk musicians, as well as opening up for jamming and open mic. As this is a community accommodating vulnerable people, this event is strictly no alcohol and will be finishing up at 10pm sharp. See you there for tasty musical fun times and solidarity. This entry was posted in common house news on September 13, 2017 by admin. Exciting news – crowdfunder.co.uk has offered us an extra week to get towards our target, and we’ve decided to accept! 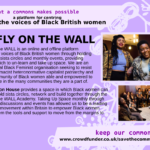 So we’ve seven more days to make one make one last push, and help to ensure the future of Common House and the many great projects it supports. Thank you to everyone for all your support and help so far – we’d never have got here without you! Please keep spreading the word. And in case you haven’t seen it already – here’s our video! This entry was posted in common house news on August 22, 2017 by admin. 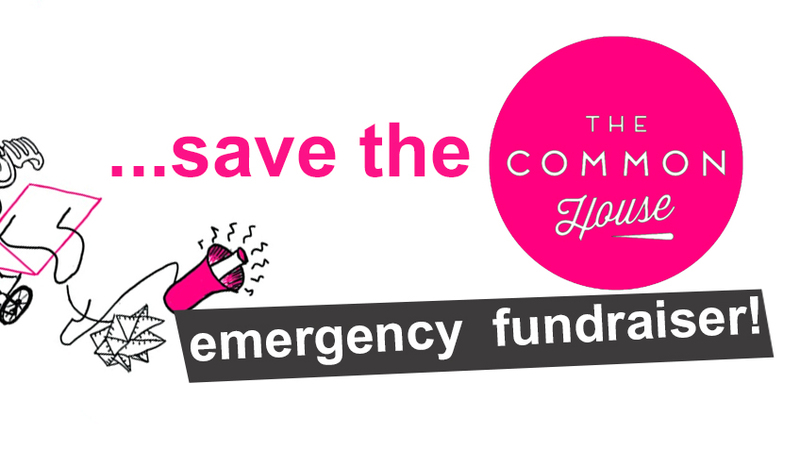 The Common House is running an Emergency Crowdfunder! 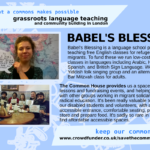 The Common House is part-funded by a generous grant that pays a substantial portion of its rent. We’ve recently learned that this grant will end in September, leaving the Common House with a major shortfall. 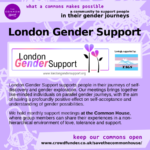 We have generated ideas for how to make the Common House sustainable in the long term, but September is fast approaching and we need some emergency funding in order to implement them. In a city where social space is increasingly private, we have been carving out a common space shared by a wide range of groups and projects. It is a space where individuals and collectives can meet, come together to share skills and ideas, support each other, heal, grow, and use our shared experiences to support political action for social, economic and environmental justice in East London and beyond. Please support us and spread the word! This entry was posted in common house news on July 15, 2017 by admin. Mums, dads, carers, kids and friends! 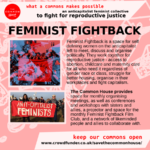 Join Autonomous Tech Fetish at the Common House for an afternoon of making our own nappy cloths prints using the freshest monthly maternity statistics, while discussing the latest healthcare reforms in maternity services. This entry was posted in common house news on May 5, 2017 by Autonomous Tech Fetish. May Day Warm Up + Social! 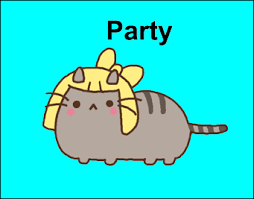 Come one come all for a nice get together before May Day hijinks. We will be putting on food and selling booze, meeting old friends and new, and generally hanging out. Date: 30th April at 6-9pm. This entry was posted in common house news on April 11, 2017 by admin. 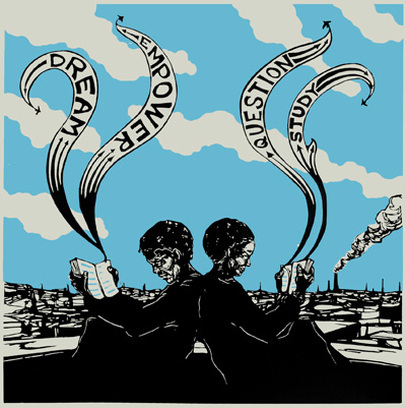 Precarious Workers Brigade‘s new critical workbook ‘Training for Exploitation?’, with a Foreword by Silvia Federici, is now available internationally through: http://joaap.org/press/trainingforexploitation.htm . 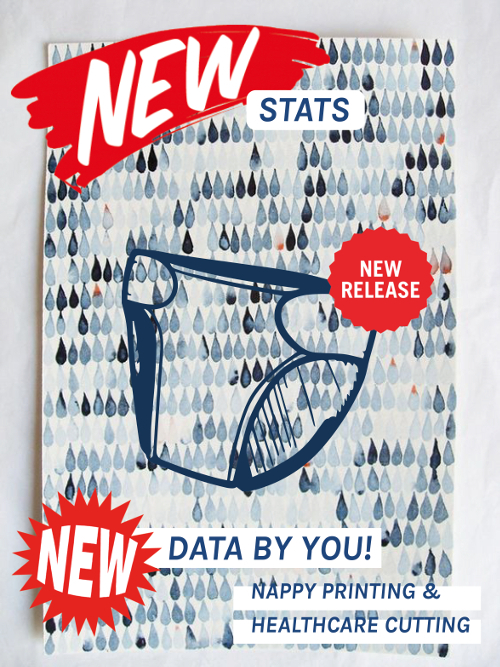 It will be available as a free download after 1 February. ‘Training for Exploitation? 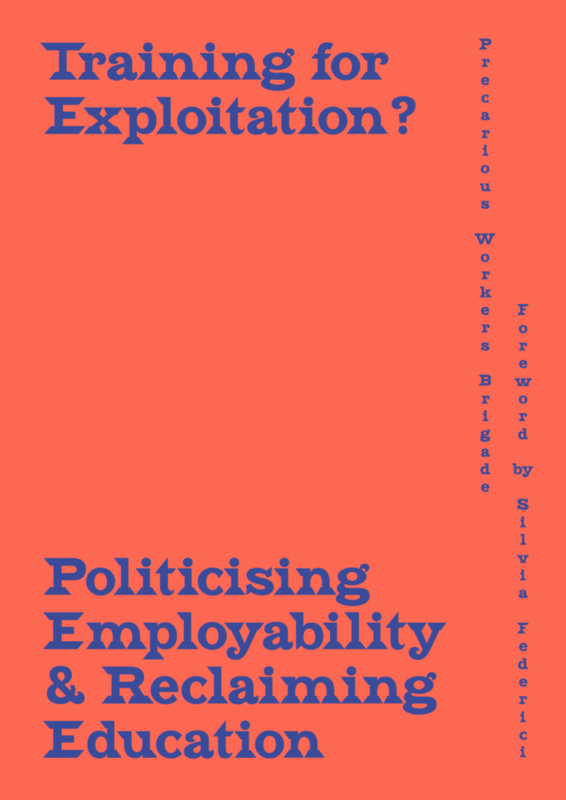 Politicising Employability and Reclaiming Education’ is a critical resource pack for educators teaching employability, ‘professional practice’ and work-based learning. This 96-pages publication provides a pedagogical framework that assists students and others in deconstructing dominant narratives around work, employability and careers, and explores alternative ways of engaging with work and the economy. Training for Exploitation? includes tools for critically examining the relationship between education, work and the cultural economy. It provides useful statistics and workshop exercises on topics such as precarity, employment rights, cooperation and solidarity, as well as examples of alternative educational and organising practices. Training for Exploitation? 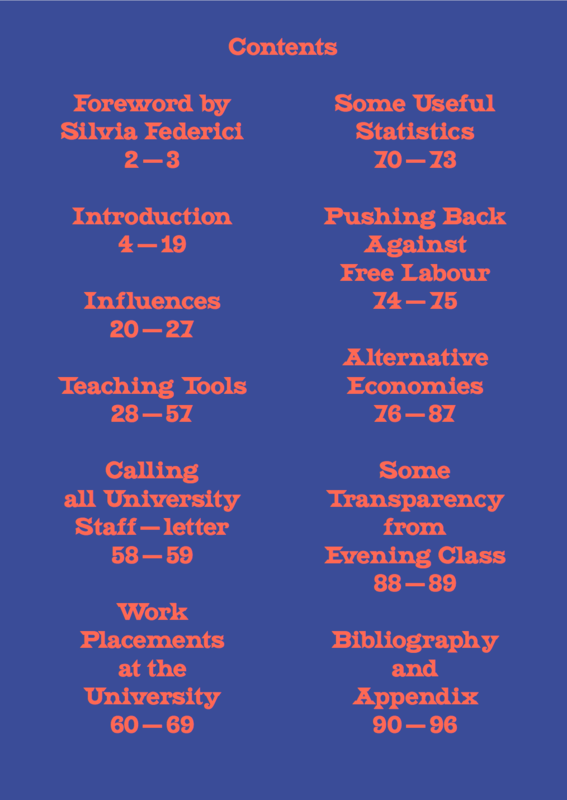 shows how we can both critique and organise against a system that is at the heart of the contemporary crises of work, student debt and precarity. This entry was posted in common house news on January 25, 2017 by admin.